Can music go to greater depths? Bachmann, Bischof and Mejer and Leo have been using their giant contrabass wind instruments as an inexhaustible source of sounds for 20 years. The composer and tuba player Leo Bachmann – already involved in the project "KOJ" on Between the Lines – studied in Lucerne and Zurich as well as under Bob Stewart in New York. As hardly any other, he investigates the sound possibilities of his instrument to the limits of what can be heard, and he has mastered numerous breathing, singing and playing techniques. He puts a great deal of importance on the effect of a sound in a room and the linkage of image and sound, e.g., in productions for theater and performances. The fact that he has also completed studies to be an SAE audio engineer at the same time contests to his consistent use of all possibilities. Thomas K.J. Mejer has selected the rarely played contrabass saxophone as his favorite instrument. Following studies in Switzerland and England, he received numerous distinctions and prizes, among others, a longer stay in Chicago. Mejer can also get a surprising variety of sounds from his supposedly very unwieldy instrument thanks to his intensive involvement with it. The same applies to Madeleine Bischof, whose instrument towers above her. She also studied flute and composing in Switzerland, completed master courses and played in numerous (chamber music) ensembles. 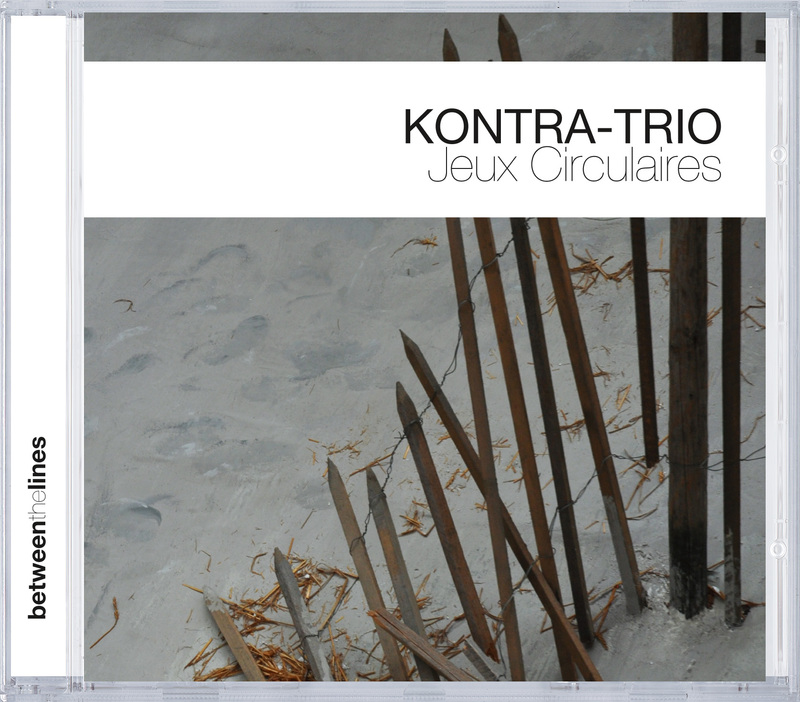 The KONTRA-Trio has already recorded several CDs, among others, for American labels and Tzadik. Since the founding of the trio in 1992, the ensemble has stimulated the interest of various composers time and again, often from the area of new music. Their special range of sounds stimulated composers to develop new composition techniques, and a lot of pieces (e.g., by Frank Denyer) were composed specifically for the KONTRA-Trio as a result. However, "Jeux Circulaires" only contains their own compositions, which provide expression of another passion of the musicians: the improvisational arrangement of the pieces. The tonal treatment of the music can be considered as the "crowning" of the work. At live concerts, a "sound installation" is created with eight loudspeakers arranged spatially, as for this recording of the premier in a very large, circular room. This has been transferred to the CD using a special mixing procedure, which results in a very unusual listening experience; you should sit in the best possible position between loudspeakers to listen to it.